Stadler had overseen Audi since 2010 until he was suspended in June. FRANKFURT -- Volkswagen Group's supervisory board on Friday postponed a decision on the future of Audi CEO Rupert Stadler, who has been jailed since June in connection with the company's diesel emissions violations. 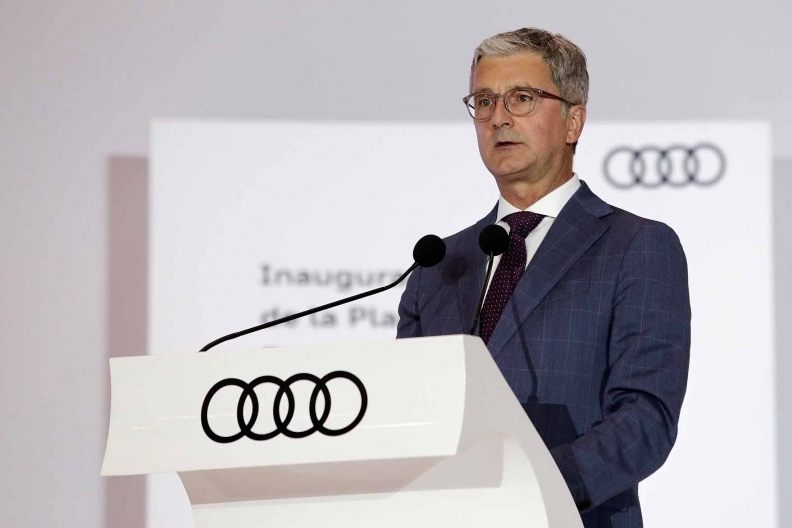 Stadler's representatives and VW failed to negotiate a solution that would see Stadler step down from his role as Audi CEO and as a VW Group management board member, two sources familiar with the situation told Automotive News Europe. The sources could not say why a deal could not be reached. A spokesman for the VW Group board declined to comment. He said that the board meeting that discussed Stadler's future among other topics on Friday had ended. Stadler, 55, a VW Group veteran, had overseen Audi since 2007 until he was suspended in June. He was forced to step down temporarily after he was taken into custody when Munich prosecutors who suspected him of interfering with their criminal probe into the company's efforts to install prohibited software on diesel engines. Stadler denied any wrongdoing at the time and pledged to cooperate with the investigation. Sales executive Bram Schot is Stadler's interim replacement. German daily Handelsblatt reported earlier on Friday that the VW Group board had held off because of an imminent decision by the German government on how to tackle pollution from diesel vehicles. Given that Germany's auto industry has rejected a proposal to lower the emissions of older diesel vehicles with hardware retrofits as too costly, it would be poor timing to spend millions of euros to buy Stadler out of his contract, which was extended by five years last year, the report said.